As we previously reported, on Tuesday, March 21, the Morehouse faculty passed a vote of “no confidence” in Robert C. Davidson, the president of Morehouse’s board of trustees. According to interviews and documentation we uncovered, Davidson presided over a board that silenced the voices of faculty and student trustees, resulting in the student trustees filing a restraining order and lawsuit against Davidson, followed by the firing of Morehouse President John C. Wilson on Jan. 13, 2017. The faculty is deeply concerned that the Morehouse College Board of Trustees, under the leadership of Chairman Davidson, has suppressed the voices and opinions of these two essential constituencies. While much of the consternation surrounding the school revolves around the board of trustees’ decision not to renew the contract of President Wilson, the board has already assembled a search committee to find Morehouse’s next president. According to a letter from the search committee (pdf), the school has employed the services of the executive search firm Isaacson, Miller to assist the team in finding a replacement for Wilson. 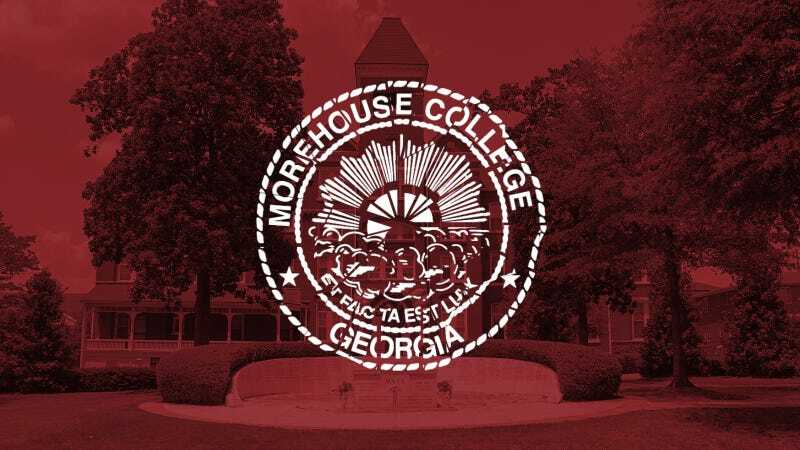 The group has also set up a “Presidential Search” page on the college’s website to keep the stakeholders at Morehouse updated on the progress of the search. On Sunday the Student Government Association sent an email to the Morehouse College community (pdf) that outlined a few issues that will be addressed at the next board of trustees meeting, taking place this weekend. Aside from the list of concerns outlined by the faculty, the letter states, and The Root has independently confirmed, that the Southern Association of Colleges and Schools’ Commission on Colleges will conduct an investigation, a probe triggered by the media attention this conflict has raised. This all takes place during the yearlong celebration of Morehouse’s sesquicentennial—celebrating 150 years of the heralded institution. Founded in 1867, Morehouse remains the only exclusively male historically black college, boasting a roster of prestigious alumni who include Martin Luther King Jr., Samuel L. Jackson, Lerone Bennett Jr. and Saul Williams.